Danny Cable\'s card-dealing shift at Northern Quest doesn\'t begin until midnight. The TVs and neon signs have been illuminating the casino floor all night when daylight starts streaming through the glass doors at the entrance. Like a factory whistle, the morning light alerts Danny Cable his shift is almost over. Gamblers — either up late or up early — sit with cups of coffee at slot machines or the table games that Cable supervises. He started dealing blackjack after thinking it would be a fun thing to learn, and he’s been working the graveyard shift at Northern Quest Resort & Casino for three years now. He likes the fast-paced games, like when roulette really gets going with lots of people around the table, but also the quieter hours. “On the weekdays we usually have more regulars, and you can get to know them,” he says. It’s nearly the end of his workday, but he’s still alert and good-natured. He says he drinks a lot of coffee, but would do that anyway. Nationwide, about 15 million people are “shift” workers whose schedules include non-daytime hours. Along with nurses and police officers, the night shift is staffed by truck drivers, pilots, bakers, miners and in-home health care attendants. Someone has to greet travelers at hotels and serve diners at 24-hour restaurants; someone has to keep factories and warehouses going all night. In Spokane County, at least a half-dozen dispatchers are ready at the 911 communications center at any hour. A pair of Avista workers on the Real-Time Energy Desk monitor the vast system of generator facilities to make sure the energy produced will precisely meet customers’ needs minute by minute. They watch energy use peak as day workers get home from work and turn on lights and appliances, and they watch it fall until a low around 4 am, when the rest of us are sleeping. Then they watch it begin to increase again around 6 am as people begin to wake up and turn on their coffee pots and toasters. On the north side of Spokane, Blessed By Design Total Learning Center stays open 24 hours a day, seven days a week, for night workers who are also parents of small children. When Terrance Nixon and his wife, Sophia, first started the business as an in-home daycare, their very first parent was a certified nursing assistant whose schedule changed constantly and covered all hours of the day. Now they have parents who are nurses and firefighters, and others who work at Walmart. “We just try to meet the hours that people need,” Nixon says. Working the night shift takes a toll. Research shows that night workers typically get only about five hours of sleep — not enough to sustain maximum performance, says Dr. Gregory Belenky, director of the Sleep and Performance Research Center at Washington State University Spokane. And the amount of sleep is only part of the problem, because humans’ circadian rhythms — our biological clocks — make us naturally more sleepy at night. Take a classic night shift, Belenky says: A person starts in the late evening and works through the low point in their circadian rhythm. Then they get home in the morning and fall asleep, exhausted, only to wake up by 1 pm. A feeling of chronic jet lag can set in, since the light cues are constantly wrong. “The bottom line is shift workers never adjust,” Belenky says. Since night work is inevitable, sleep experts look for ways to make it easier. One possibility is making the night shift longer to build in time for sleeping on the job. Even just a short nap is beneficial, Belenky says. A study of pilots showed that a 40-minute in-flight napping opportunity improved their performance and alertness. “Anything longer than that just improves the benefit,” he says. 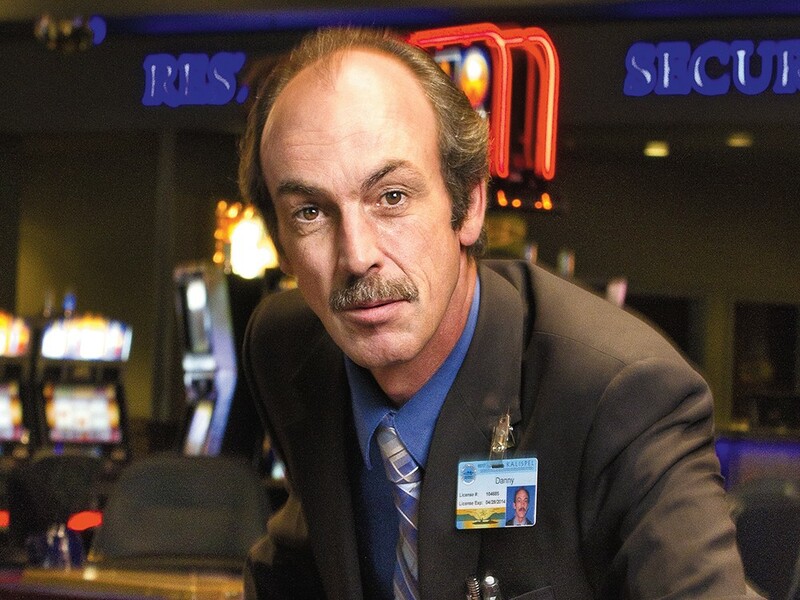 When his shift ends at 8 am, Cable leaves the casino each morning just as the majority of Spokane’s workforce is heading into work for the day. He heads home, maybe stops at the store, just like others do in the evening after work. He typically sleeps later in the day before waking up to get to work at midnight. After previously working all hours as a truck driver and starting on the swing shift at Northern Quest, Cable likes the consistency of the graveyard schedule. Working nights means the flexibility to forgo sleep for evening events, and the freedom to make doctor’s appointments and run errands without working around work. “I couldn’t imagine working 8-to-4 and trying to make it to the bank,” Cable says.